Cocoa DUI Lawyers and Attorneys - Templeton Law Firm P.A. Cocoa Florida’s Templeton DUI defense law firm is dedicated to helping you protect your freedom and your driving record. If you’ve been arrested for a DUI in the Cocoa, Florida area, don’t hesitate to call us to defend your rights and driving privileges. Maintaining a good driving record is critical for many different reasons. For one thing, you will pay less in insurance rates over your lifetime if your driving record is clean. A driving record is also a matter of public record. Many companies will assess your driving record as a matter of employment. Most people are willing to pay minor traffic citations and fines without another thought. But a DUI charge is a criminal matter, and a conviction is a serious stain on your reputation and driving record. When you’re charged with a DUI, it’s not just a traffic citation. It’s a crime that comes with severe fines and legal ramifications that can haunt you for years. Disputing a DUI charge with help from an experienced Cocoa DUI defense lawyer though is a wise move. A misdemeanor DUI is one of the only crimes that carries with it mandatory sentencing requirements. If convicted of a 1st DUI in the State of Florida, you will face 12 months of probation, a minimum of a $500 fine, not including court costs. A DUI level 1 program through the DHSMV, and a victim awareness panel, and a 6 month drivers license revocation. In most cases the state will be asking for community service hours and additional sanctions within probation. Licenses are automatically suspended by the DHSMV unless you or your Cocoa DUI defense attorney requests a hearing, but you must do this within ten days of arrest. At Templeton Law, our DUI lawyer will develop a strategy to maintain your driving privileges and conduct an aggressive defense for your criminal trial. Our Cocoa DUI defense lawyers have successfully defended dozens of clients against DUI charges. As a former prosecutor, we know exactly what the prosecutors are looking for, and we’re glad to put our knowledge to work for you. We literally have the prosecutor’s playbook. But without help from an experienced DUI defense lawyer, the courts are all too happy to hand out DUI convictions regardless of the circumstances. Those convictions can come with up to 180 day in jail on a first offense. Every case is unique, but when you contact us at Templeton Law, we will look through every aspect of your case to find weaknesses in the prosecution’s story. Even if you’re afraid that your case has no possible defense, we can help. 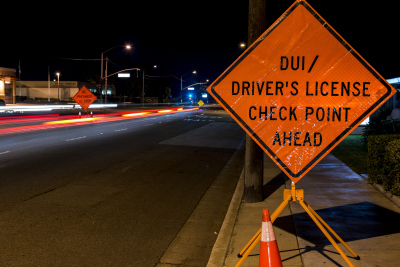 There are numerous defenses to DUI charges and ways to protect your driving privileges. We’re committed to doing our absolute best to protect your rights, your driving record, and keep you out of jail. Contact us today for your free consultation. All calls are 100% confidential, and our attorneys are available anytime and can come to you.